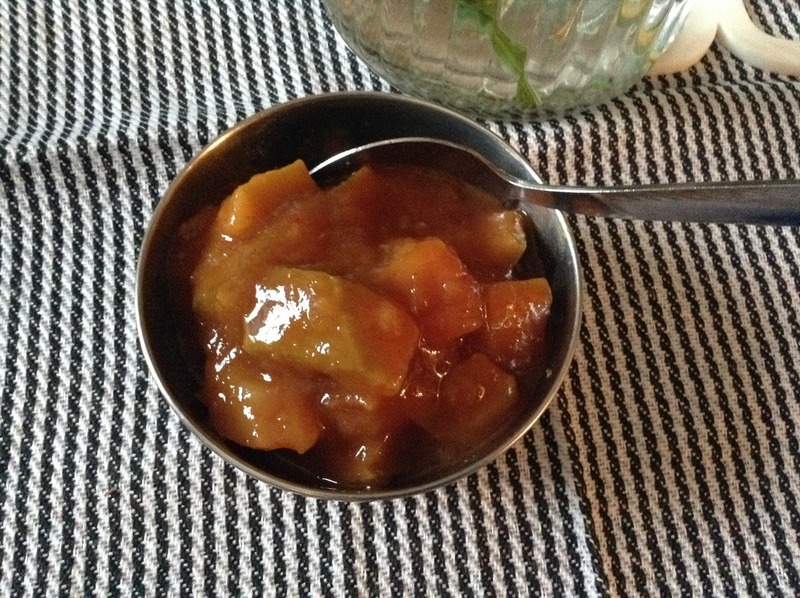 Cooking With Swapna: Hot n Sweet Mango Chutney (using Jaggery) - Healthy Version !!! 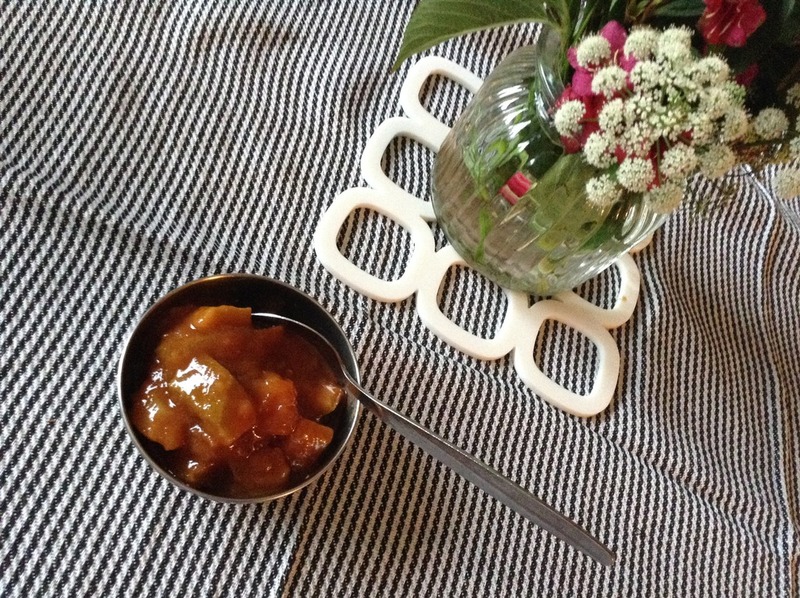 Hot n Sweet Mango Chutney (using Jaggery) - Healthy Version !!! 1. 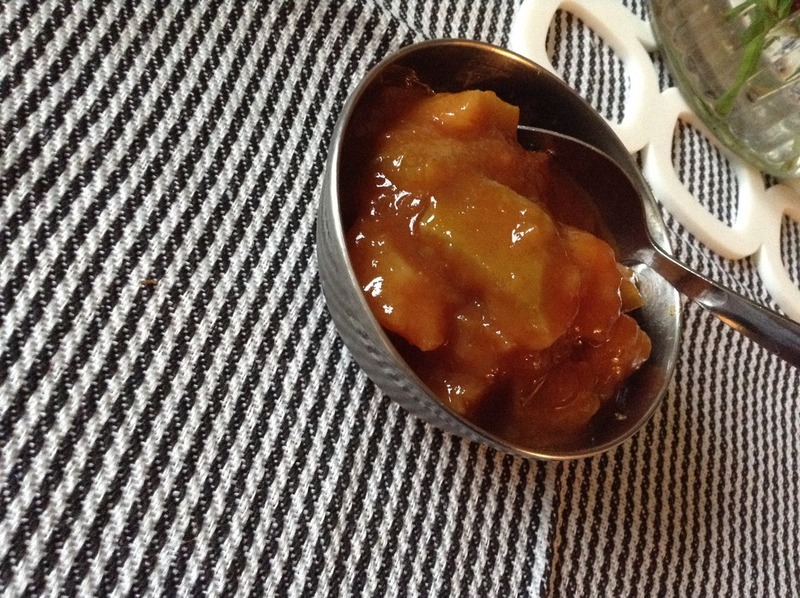 Pressure cook the mango pieces in 1/4 cup of water along with red chilly powder, cumin powder and salt. 2. Meanwhile melt the jaggery in 1/4 cup of water and filter them. 3. Add the melted jaggery to the mango mixture and cook them over medium heat until the mixture resembles like a jam. 4. 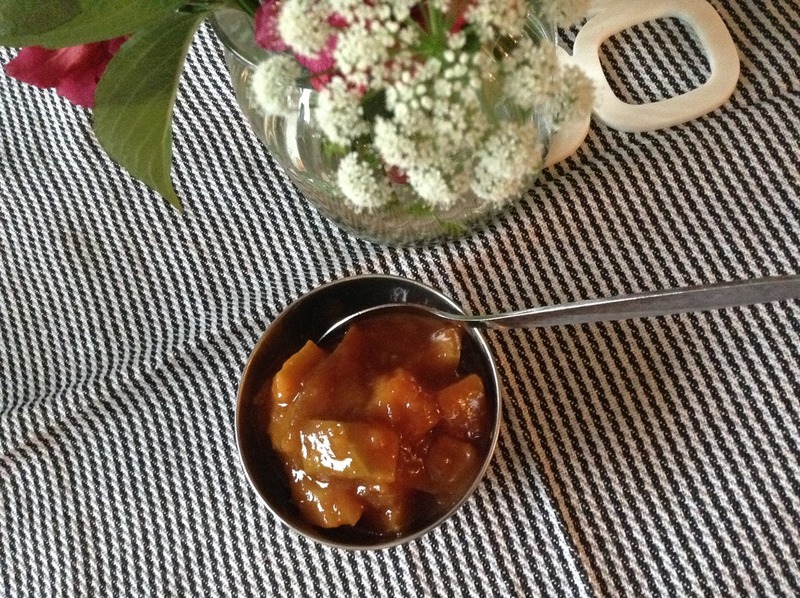 Allow the mixture to cool completely before storing them in the air-tight container. 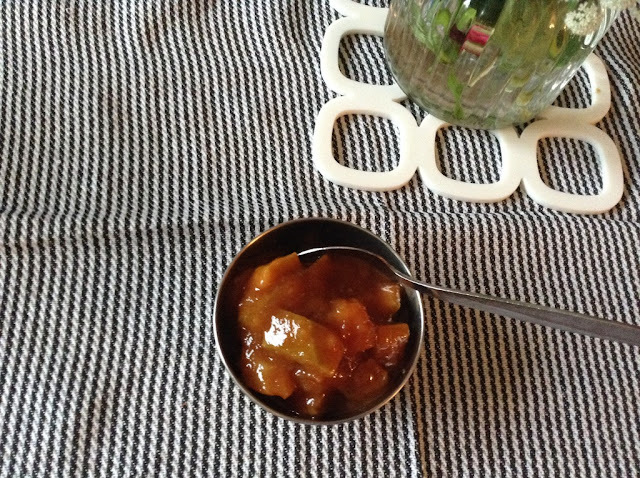 Serve with rice, rotis or bread.